“An eerie, tense, and finely written novel…Readers will grip their chairs” (SFGate.com) as they try to unravel this tale of psychological suspense from the award-winning New York Times bestselling author of Turn of Mind. Jane loses everything when her teenage daughter is killed in a senseless accident. 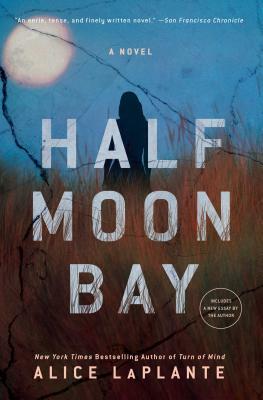 Devastated, she manages to make one tiny stab at a new life: she moves from San Francisco to the seaside town of Half Moon Bay. Jane is inconsolable, and yet, as the months go by, she is able to cobble together some version of a job, of friends, of the possibility of peace. And then, children begin to disappear. And soon, Jane sees her own pain reflected in all the parents in the town. She wonders if she will be able to live through the aching loss, the fear all around her. And as the disappearances continue, she begins to see that what her neighbors are wondering is if it is Jane herself who has unleashed the horror of loss. Alice LaPlante’s “well-crafted novel of psychological suspense” is a chilling story about a mother haunted by her past, a “brooding suspense novel…dark, starkly beautiful…LaPlante uses a seductively dangerous landscape to mirror her heroine’s inner life” (Kirkus Reviews).